Wanna read the whole story about these paper fasteners - click here to read the post at the Wedding Wrapsody blog. p/s You will soon be able to purchase these favor kits from my shop at truly special prices. 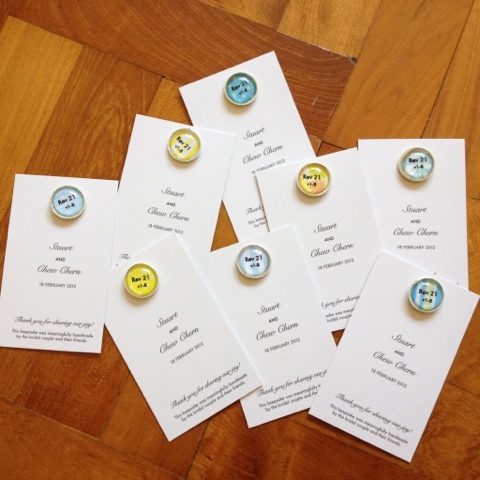 You can take your pick from customisable magnets, paper fasteners, pushpins, round clips and charms. Perfect for customizing them as you wish, say no to chopstick rests and coasters! Tell your about-to-be-married friends about us.